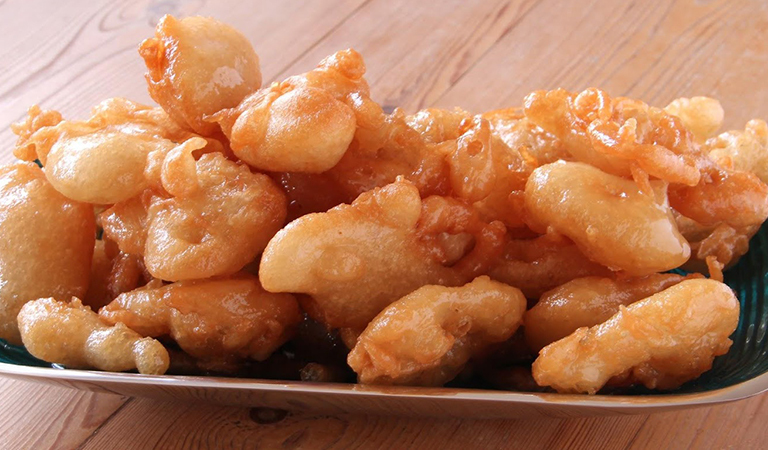 We all know that deep fryer is great for enjoying the premium fried food taste. But do you know that deep fryer can be used for making desserts too? That’s correct. 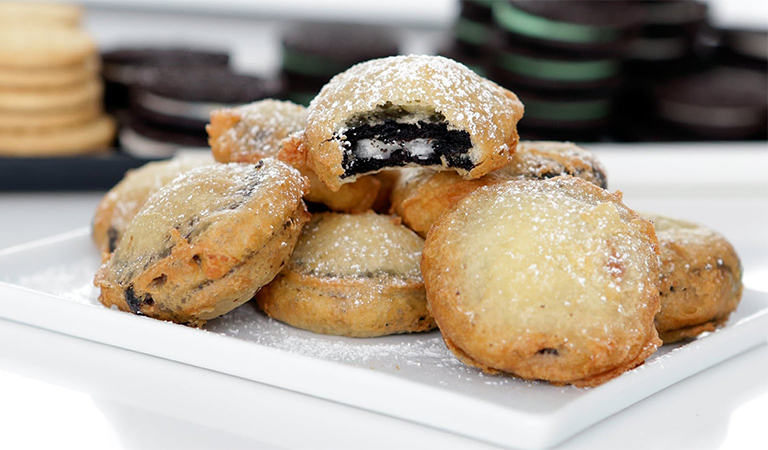 In fact, you can make some of the most delicious dessert items with your deep fryer. 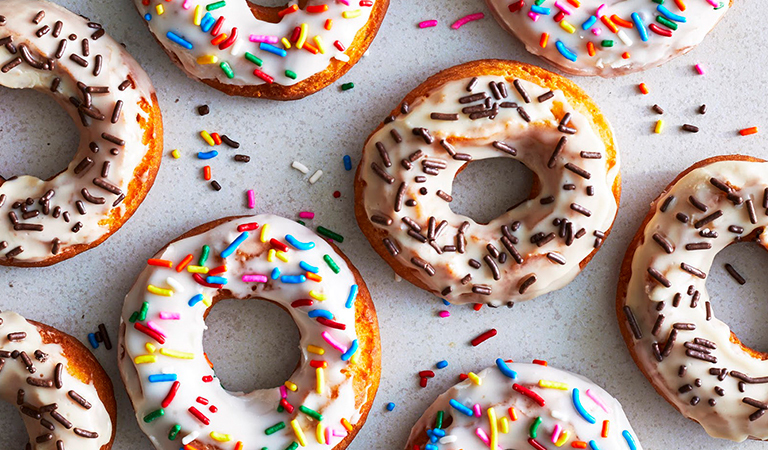 You can make the same desserts from your favorite dessert place but it’ll be much healthier. Deep fried recipes don’t only mean unhealthy fried foods but there are also healthy deep fryer recipes. 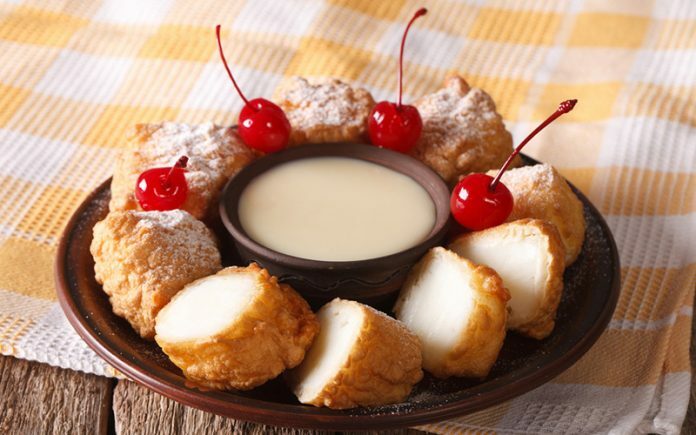 We’ve selected 7 deep fried desserts that will make you drool all over your screen. We’ve selected some easy deep fried desserts that you can make in your deep fryer with little effort. Now. we’ll discuss the best deep fried desserts in details. Our fried food recipes are divided into two sections: the ingredients required to make the fried food and steps to make the food. Wonton Wrappers – 20 pcs. Coarse Salt – 1 tsp. Ricotta (Whole Milk) – 16 oz. Heat the oil at 360°F in the deep fryer. 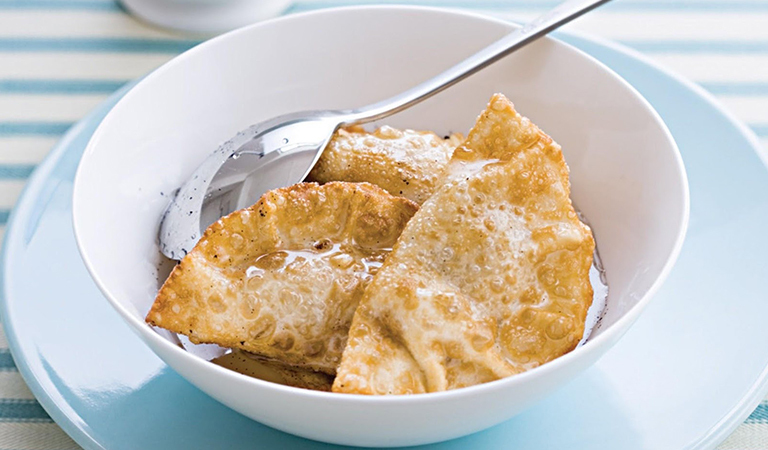 You can make this dessert even in air fryer. Know more about deep fryer vs air fryer here. Slowly put the pancake mix on the mixture. The final batter has to be smooth and without any lumps. You don’t have a mixer you can try the good old fashioned way to make. Why not fully utilize the deep fryer you just bought? 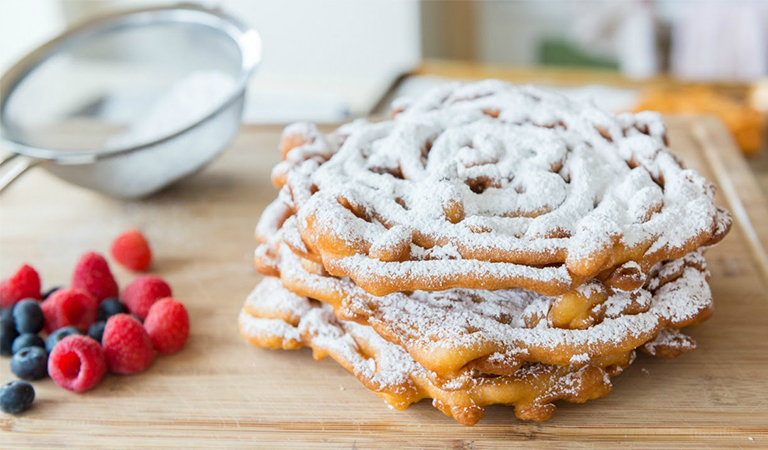 With these deep-fried desserts, you can add festivity to a warm afternoon full of family and friends. 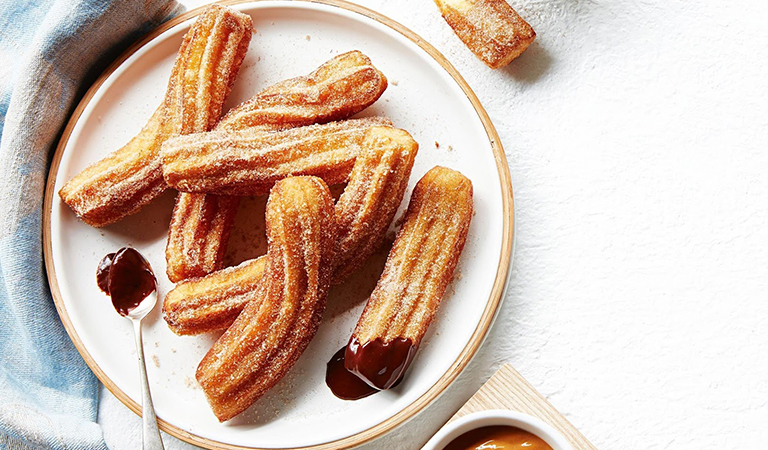 Although these are desserts, you can also use them as deep fried snacks. They’re safe and very easy to make but most importantly, everyone enjoys them. You may try them for yourself as well. 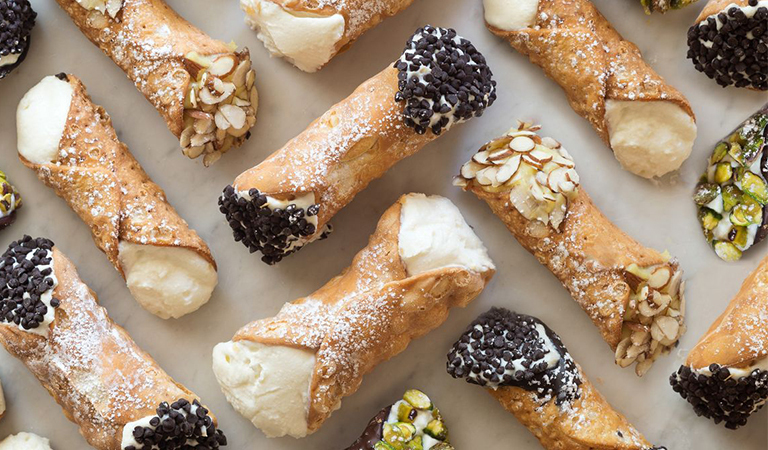 So, get started with any of the dishes from our deep fried desserts list.